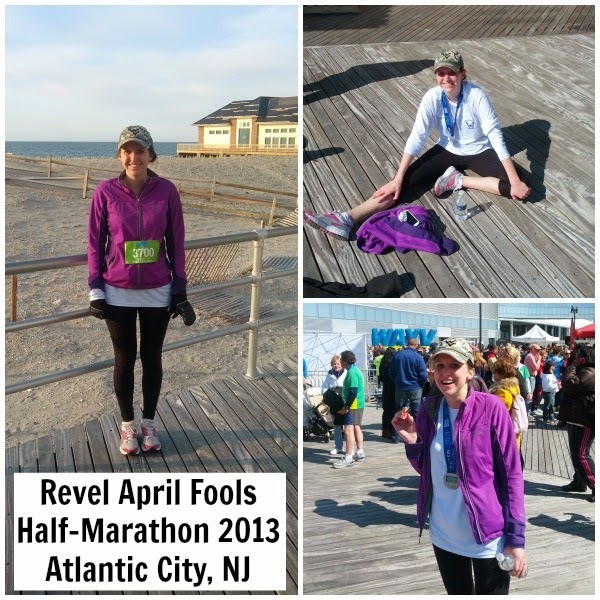 I’ve been meaning to write a post about running for a while. Like a lot of people, I started to get interested in running races after college. In college, my workout routine generally consisted of 20 minutes on the elliptical and then another 20 on the treadmill and sporadic crunches and squats in my bedroom. I didn’t hate running on the treadmill, but I didn’t love it either and usually just counted the minutes until I hit the time or miles that I wanted. Once I moved to Center City Philadelphia after I graduated, I started running outside and started really enjoying running and began looking into signing up for races. I started out with a few 5Ks. I like ones that contribute to charities, like the Sea You at the Beach 5K that I did a few years ago, which benefits two charities in honor of an alumni of my high school who died of cancer. I really like the sense of solidarity you get running with a big group of people. 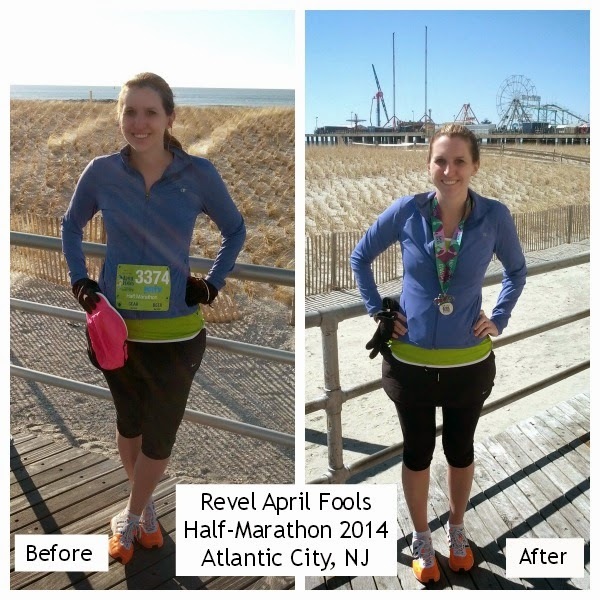 After I had a few 5Ks under my belt, I tackled the 5 mile Radnor Run and then signed up for the Revel April Fools Half-Marathon last year. The above pictures are from this year's April Fools Half and the pictures below are from last year's. This half-marathon is a fun race. It's the first Sunday in April, which was a beautiful day both in 2013 and 2014. 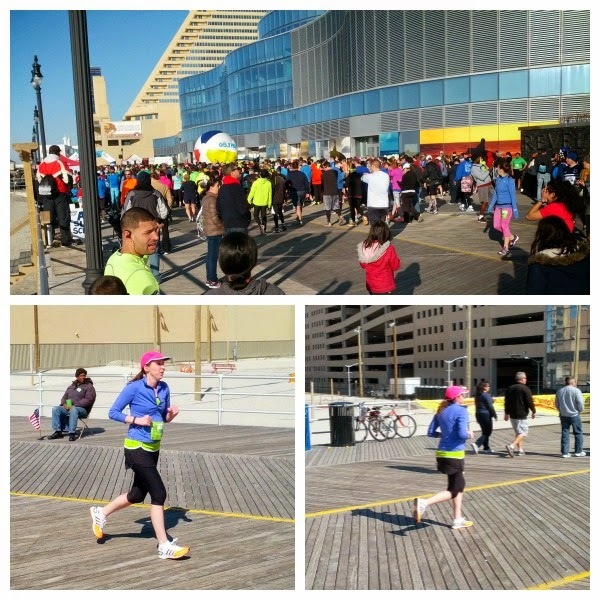 The race is an out and back course along the boardwalk for the first and last 4 miles, with the middle 5 or so miles on the streets of Margate and Longport. It's fun to pass the casinos and nice to look out at the beach from the boardwalk. And here's my top ten running tips for new runners! Just get out there. - The first step in establishing a running routine (or any exercise routine) is walking out the door or packing the gym bag. Just start moving - Couch to 5K is a great program for beginner runners! Get good shoes. - Making sure you have high quality running shoes is SO important. I strongly recommend that runners get fitted at running shops for sneakers. Having good shoes can prevent injuries. Running shoes generally will last you 300-500 depending on the type of shoe (lighter shoes need to be replaced more often) and the size of the runner. Listen to your body. - There is no shame in walking breaks! If your body is telling you to stop, listen! If you need to cut a run short or take an extra rest day, just do it, it's much better than getting injured. Stay hydrated. - I am really sensitive to dehydration migraines. I try to drink a lot of water each day and especially the few days before a long run. Lately I've also started drinking Gatorade or other sports drinks after long runs to restore electrolytes. Run with a buddy/group. 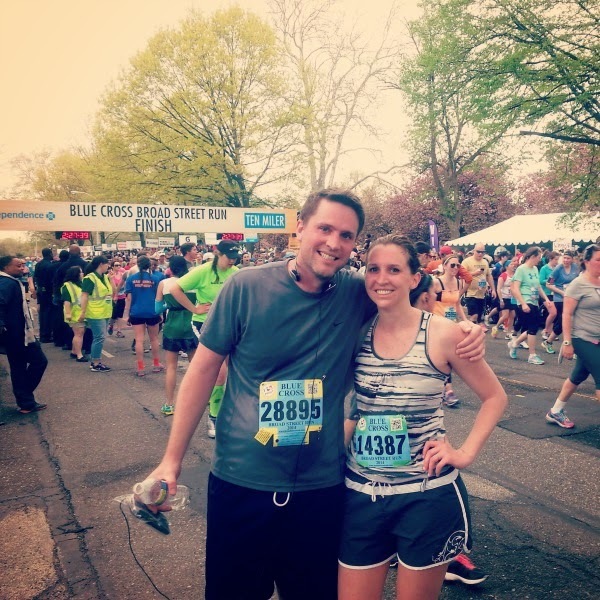 - Running with my brother Joe was really motivating for the Broad Street Run. I definitely recommend running with someone a little bit faster than you once in a while because they can help you push yourself a little further. Remember to cross-train. - Cross-training can really help strengthen your running skills and increase your overall fitness. There are tons of activities to cross-train, like walking, biking, strength training, or yoga. I usually just walk and strength train, with some occasional yoga. I'm planning to try out some different types of cross-training this summer, by purchasing some Groupons. I've been thinking about trying Pure Barre or Lithe method soon! Sign up for a race. 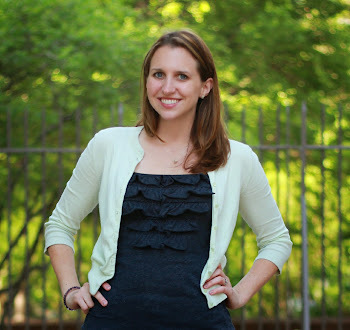 - Signing up for a race really helps me to commit to my running. If I sign up for a race, I'm going to do it and that means training. Make sure to rest. - Running can be hard on your body, so it is really important to take at least a few days a week to rest or cross-train. Foam rolling or stretching are also great things to do on rest days. Don't be afraid of inclement weather. - Don't be afraid to run when it's cold out or even in the rain! I'm someone who hates being cold, but I surprisingly really enjoy winter running and can even handle some light rain. I'd much rather be running outside versus inside on the treadmill, so I'll usually take it outside unless it's well under freezing or pouring rain out. Brisk air can make you move a lot faster! Put your hands on your head when you stop. - This is a little tip I got from my husband. It makes it easier for your lungs to get more oxygen which feels really good!